No matter if your bike is new or old, the last thing you want to do is drop it when you stop and swing the sidestand down. My BMW F800Gs has a pretty small footprint so it was one of the first things to get upgraded. In my eyes a sidestand foot enlarger is a must if you’re taking a bike off road. Even in the city, a big bike can sink into the pavement when it gets hot. 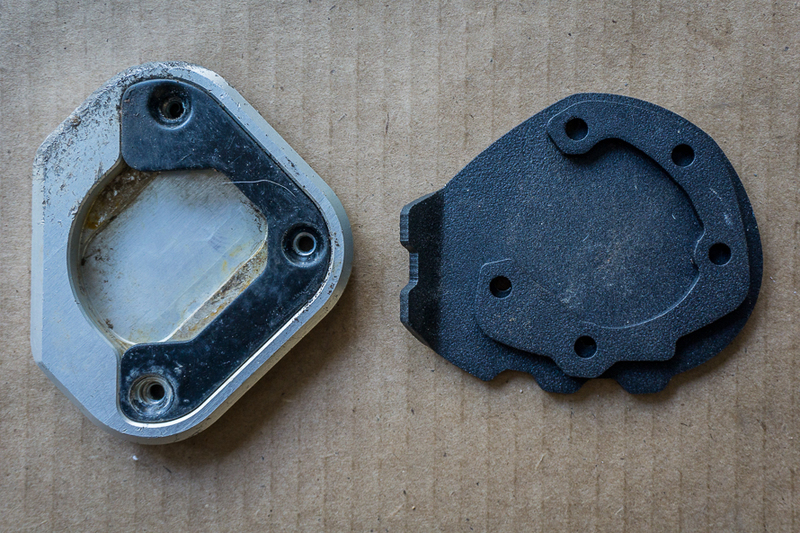 My bike came with the SW-MOTECH foot enlarger installed and I compare it to AltRider’s Sidestand Foot in this video. SW-MOTECH primarily uses aluminum in their foot, making it a bit lighter than AltRider’s 1/8″ stainless steel. That’s not a huge worry for me, but I do prefer the sturdier steel over the aluminum. This is the second SW-MOTECH foot I’ve removed on two unique bikes. Since the screws are small and only use a 4mm allen wrench I stripped a screw on each, the first requiring a trip to my local shop. 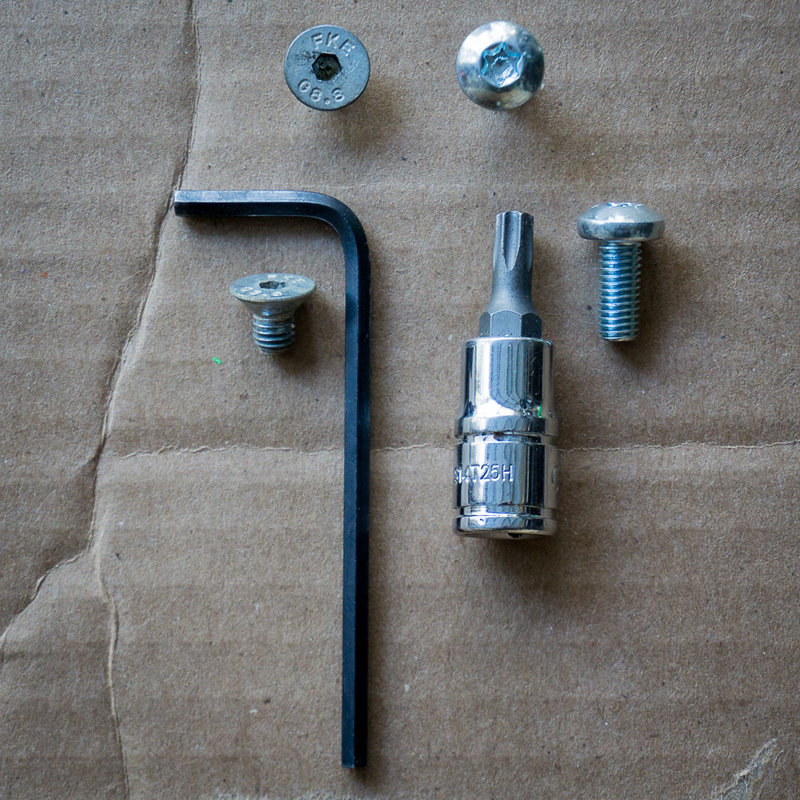 AltRider uses a bigger bolt and a T-25 Torx bit to secure four of the five bolt. The fifth uses an 8mm hex head since it’s a bit harder to reach with the angled side stand. Lastly, AltRider has built in a 3D tread to made it easier to swing the sidestand down when you’re off the bike no matter the boots you’re wearing. No more hunting and pecking when you just want to secure your bike. Don’t forget a few drops of blue threadlocker (medium) on each bolt during installation, which should take you about 15 minutes. AltRider goes the extra mile and includes a bottle with every order. 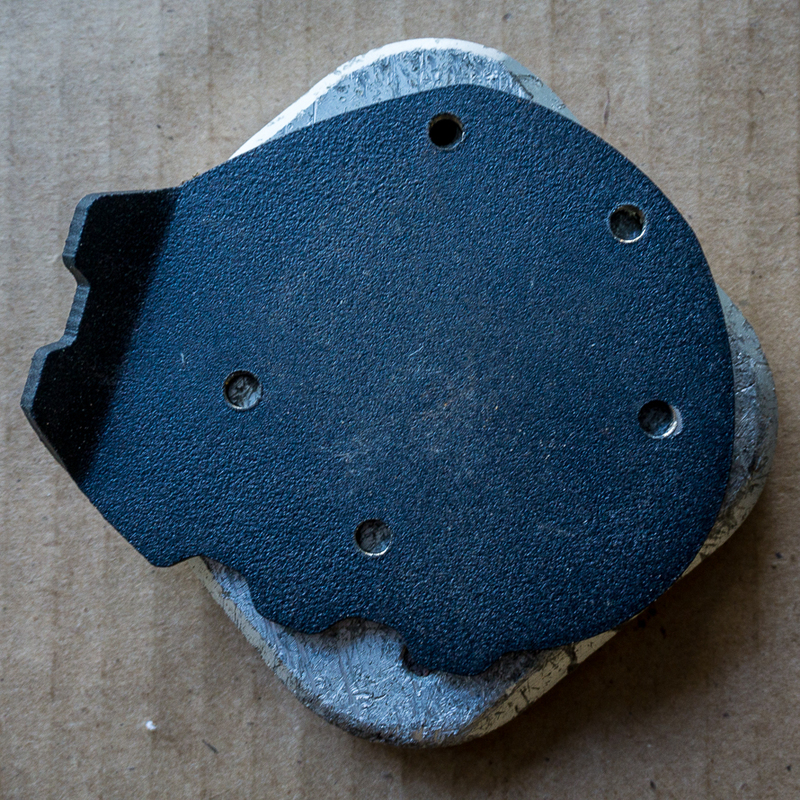 You’ll find this foot in the textured black or a brushed stainless silver color.